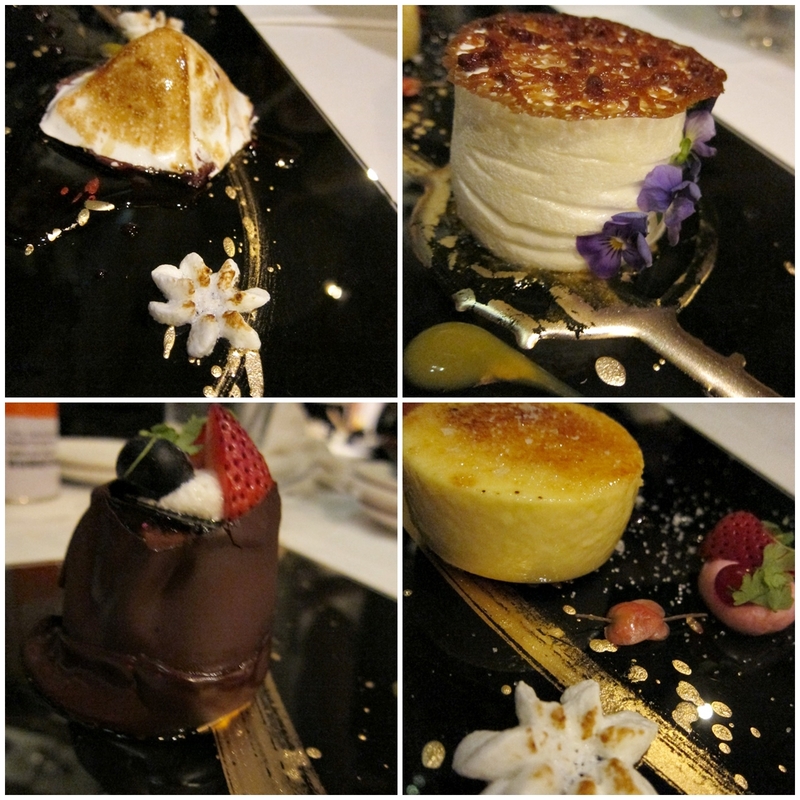 2 weeks ago, I had the honour of visiting STELLAR @ 1-Altitude for a dessert session with Chef Jasmin. First of all, the view was spectacular. I had a bird's eye view of the city while we learned how to plate desserts. This made me somewhat really happy! heh! The ingredients and gadgets were set up for us. Chef Jasmin introducing Executive Chef Christopher James Millar. Both of them were truly friendly and made the session enjoyable! We were taught by Chef Jasmin on how to remove a creme brulee from the mould! Ingredients for desserts we were taught that night! Each dessert plate is carefully plated with skill and lots of love. We even learned how to torch the desserts! We also learned how to create little balls of flavour. I love how the flavoured ball of 'juice' burst in my mouth! So I got together with 3 other female bloggers and we had our hand at plating the desserts too! The Fireball! This was really good! Beside it was a beautiful meringue flower with the flavourful 'ball'! Every detail was great flavour.. like the blobs and drops of flavour on the plate. We set the dessert on fire with liquor! A shot with chef Jasmin. Being so young and successful, she is truly an inspiration!